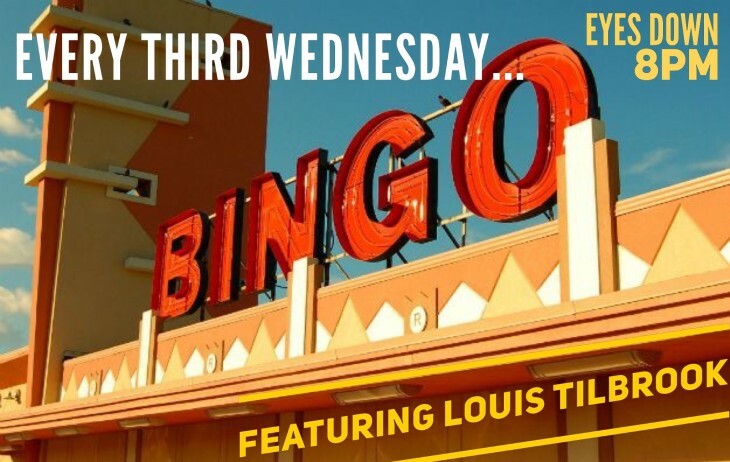 TONIGHT...and every third Wednesday of the month - Bingo with Louis Tilbrook!! This promises to be a brilliant night with lots of laughs from our resident bingo caller. Eyes down 8pm.